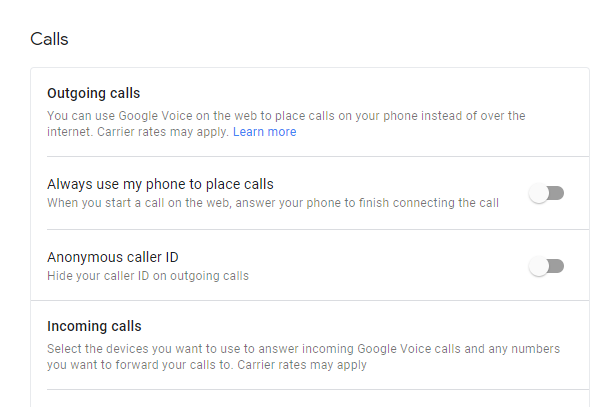 Around the middle of last month, 9to5Google spotted that Google Voice was picking up up a toggle to strip caller ID on outgoing calls — à la *67, but without having to dial it every single time. The new feature rolled out to the iOS version of Google Voice last month, and now it's here for both Android and the Google Voice site. 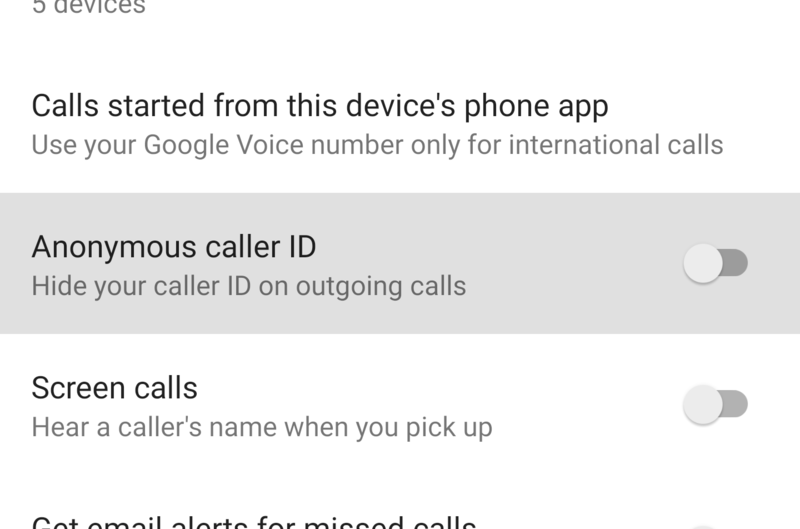 Anonymous caller ID settings on Android (above), and the Google Voice site (below). Accompanying the new "Anonymous caller ID" setting is a new help page on the subject that details how to enable it across platforms. Previously, interested parties with access to an iOS device could toggle the setting there and see it carry over via their account to other platforms, but now that won't be necessary. The new toggle appears in Settings -> Calls on both Android and Desktop, under the name "Anonymous Caller ID." So far as we can tell, it should be live for everyone.